OneAsia has confirmed the consolidation of its two offices in Asia as component of a planned expansion which will see Hong Kong become the focal point of both administrative and operational affairs. 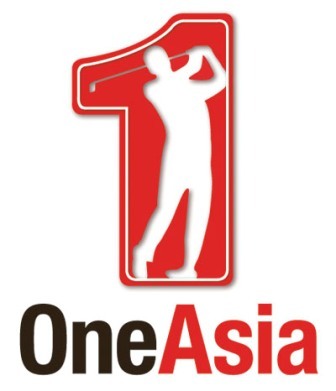 The OneAsia Board of Directors met in Melbourne, following its enormously successful Emirates Australian Open which saw record television ratings in Australia, to formalize this move with it being agreed to announce this upon the season-ending Australian PGA Championship presented by Coca-Cola. As part of a move that will allow OneAsia to shift resources closer to key growth markets in North Asia, including China and South Korea, the Singapore office, which handled operational matters, will be relocated to Hong Kong. Sang Y. Chun, who is at the helm of OneAsia in his capacity as Commissioner and Chairman, has been based in Hong Kong for the past year and will be joined there by Chief Business Officer Rob Neal, Director of Tour Operations David Parkin, Director of Business Affairs Tina Lee, and all other supporting staff. Ben Sellenger, the Chief Executive Officer since 2008, has decided to use this juncture to pursue some personal business interests outside of OneAsia. Said Commissioner Chun: “This is an important strategic decision for OneAsia that will facilitate our plans for development and further expansion. It will be a huge advantage to have everyone working together in Hong Kong, which is such a key location. The 2011 OneAsia season came to an exciting conclusion at the weekend following Australian Greg Chalmers victory in the Australian PGA Championship presented by Coca-Cola. The lefthander also won the Emirates Australian Open for a thrilling back-to-back finish on OneAsia. Additionally, Commissioner Sang Y. Chun was mandated to further expand the OneAsia schedule to offer Asia’s best players more playing opportunities. OneAsia will be announcing its schedule for 2012 in the near future with an expected increase in number of tournaments and prize money for the fourth consecutive year. “As a co-sanctioning partner of both the Emirates Australian Open and the Australian PGA Championship presented by Coca-Cola, the PGA Tour of Australasia’s continued alignment with OneAsia remains an important priority,” said Brian Thorburn, CEO of the PGA and Board Member of OneAsia. Prior to his tenure at OneAsia, Sellenger was also the Commissioner of the PGA of Australasia from 2006 to 2009, where he first set off on his mission to grow the sport in Australia and across the Asia Pacific.